A long lasting non sticky crystal deodorant with a light citrus fragrance. Infused with essential oil to help keep bugs at bay. Ammonium alum, Aqua, Cymbopogon nardus (citronella). 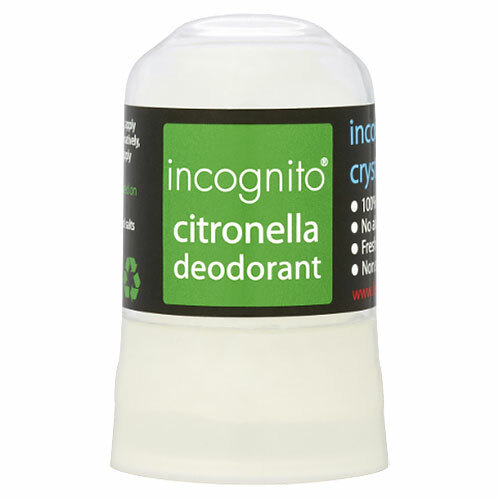 Below are reviews of incognito Natural Crystal Citronella Deodorant - 64g by bodykind customers. If you have tried this product we'd love to hear what you think so please leave a review. 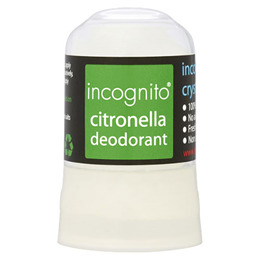 One of most efficient deodorants I tried. Works really well even in extreme temperatures. Highly recommended.